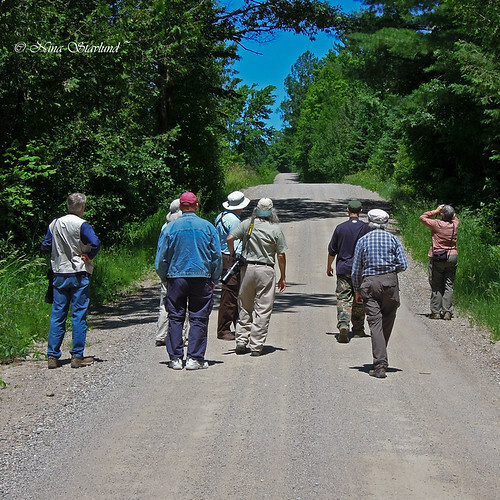 ~ The Visual Adventure ~: The End of Spring Birding..
We started the morning at dawn in Gatineau Park with the plan of exploring all along the beautiful Gatineau Escarpment. 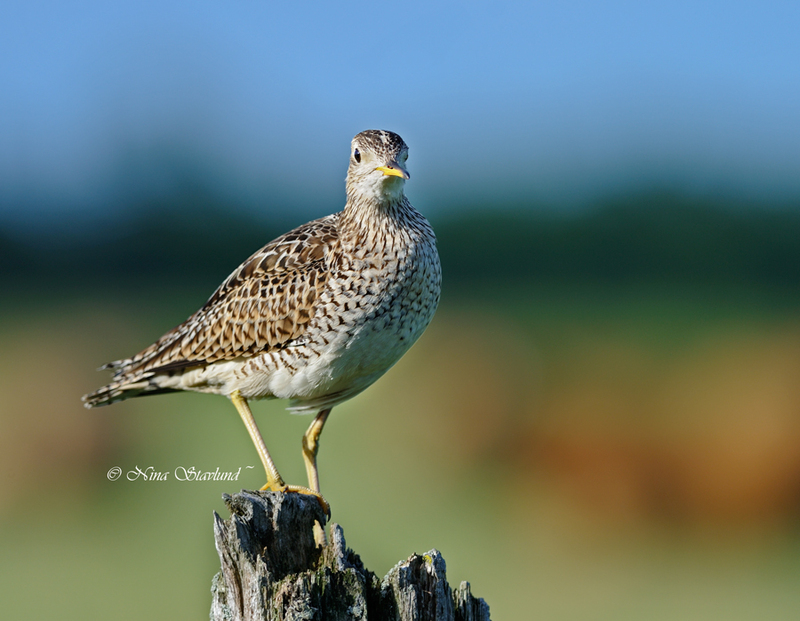 Our first great excitement was a cooperative Upland Sandpiper perched on a fence post near Breckenridge. 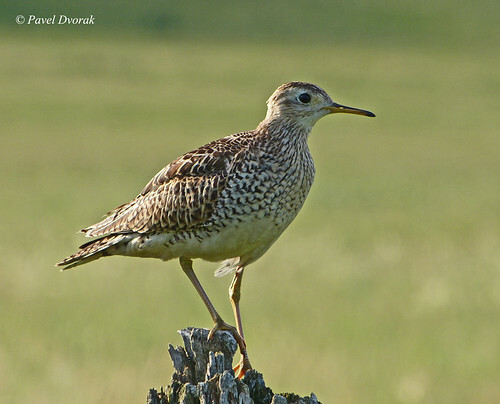 The fields seem fairly active with Bobolinks and Eastern Meadowlarks. We found a family of highly vocal American Kestrels near Quyon. 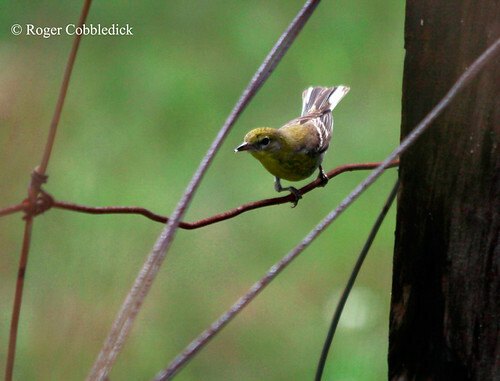 At Elmside, near Norway Bay, we were surprised to find a female Pine Warbler out in the open, completely outside of her normal habitat. We were enjoying a pair of Eastern Bluebirds when the Pine Warbler was spotted dancing around a fence post beside the road. 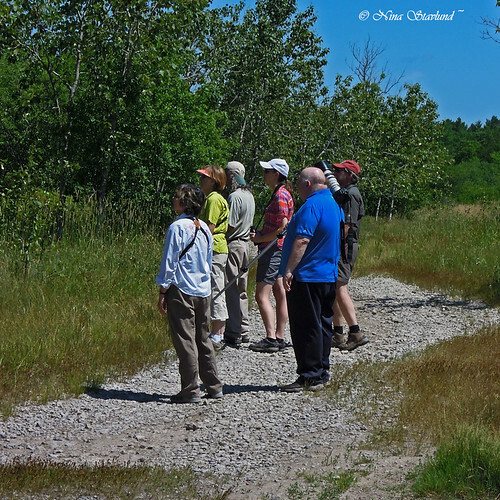 We continued on to Calumet Island, where we observed an adult Red-tailed Hawk guarding its nest containing two chicks. At Lawless Lake, up in the hills past Campbell’s Bay, we observed two adult Common Loons with their single chick. Despite the strong wind and intense sunshine, we had a day-list of 70 birds. 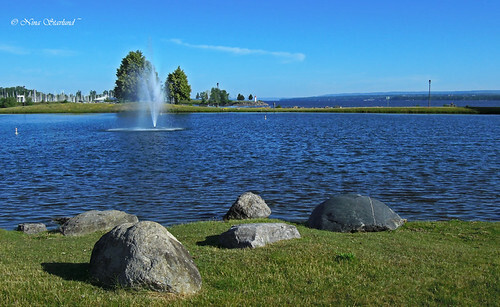 It was a hot day with warm breeze. 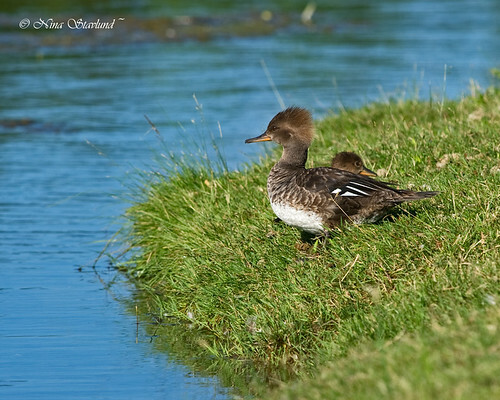 We started at Andrew Haydon Park where we watched the now-famous Hooded Merganser and her four chicks. We ventured out west of Ottawa stopping at Constance Creek where we got American Bittern and Virginia Rail. We made a sudden stop along the Thomas Dolan Parkway when a Scarlet Tanager flew over the road. Several more birds came into view here, including a female Blackburnian Warbler. 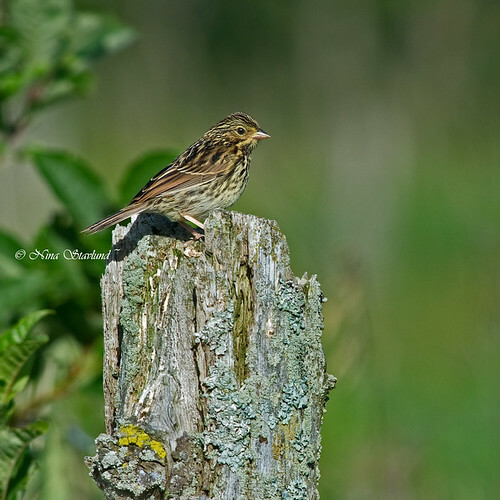 We ended our morning at the Burntlands where we saw Clay-colored, Field, Savannah and Grasshopper Sparrows. Our day-list reached 60 species. It was a glorious warm but windy morning. 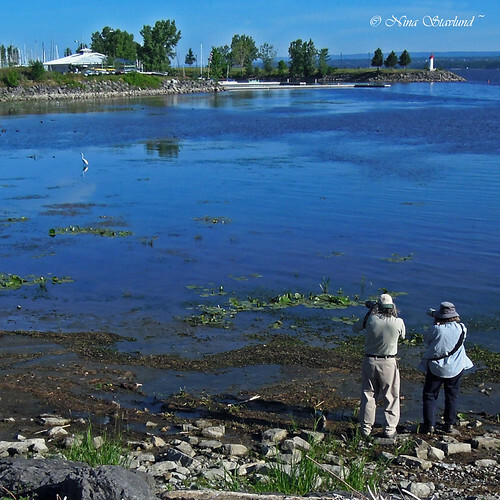 We started the day at Petrie Island, only spending a brief time checking out the causeway for birdies. 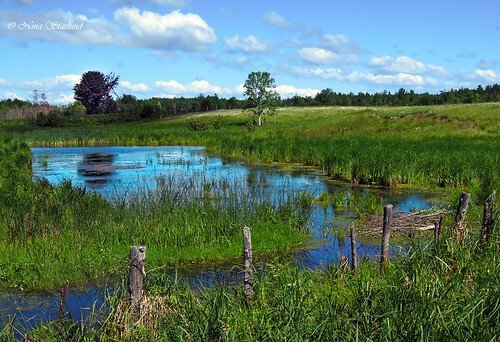 We then went to Giroux Pond, followed by Embrum and Casselman Lagoons. At Embrum we found a few Lesser Yellowlegs and Least Sandpipers. At Casselman we had a female Greater Scaup. 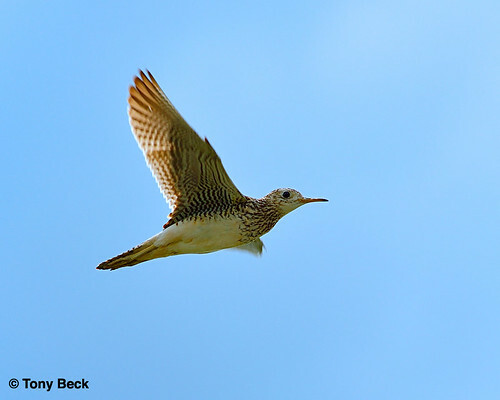 These are the first fall migrants - right on schedule! We ended the excursion at Carlsbad Lane where we had Meadowlark and Upland Sandpiper participating in a singing contest. 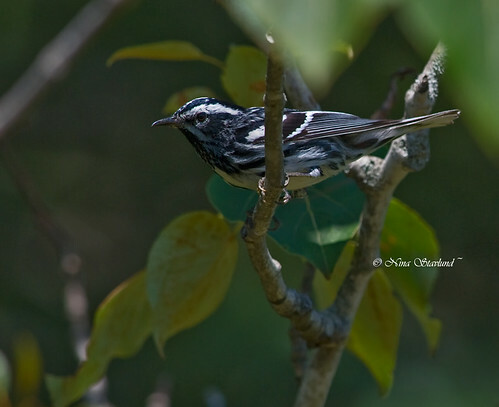 Our day-list again came to 60 species of birds. Super shots! 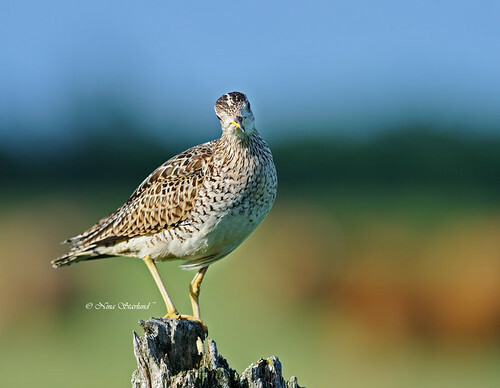 That Upland Sandpiper certainly loves its perch. 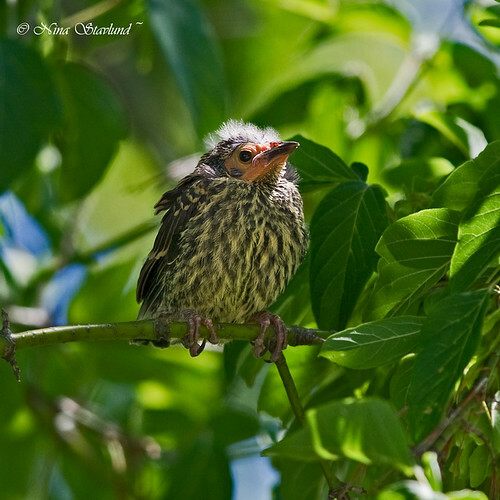 Looks like a great few days of birding, tons of species and a great variety of locations.